Here's a little-known fact about the U.S. Postal Service: Since 2001 it has participated in what's called the Mail Isolation Control and Tracking program, which means it photographs and keeps records of the labeling information on all envelopes and packages sent through the mail, on behalf of American law enforcement. Last November, when the USPS admitted that hackers (with suspected Chinese government backing) had broken into their database and stolen the confidential data of all 800,000 post office employees, outside security analysts suggested the hackers might've been interested in getting hold of other forms of data, such as that database showing every single envelope and package sent through the U.S. mail since 2001. In other words: the American government definitely has a photographic record of all the “snail mail” you've sent or received over the past decade and a half, and it's possible the Chinese government has one too. Manage your mail over the Internet? Sounds promising. Could it be that the post office is releasing an online tool to make it easier for customers to opt out of receiving annoying and unwanted junk mail? The email urging mail recipients to sign up for this free service touts such advantages as “On vacation, see mail deliveries, or Mail on Hold” and “See important letters, documents and checks, online, before they arrive.” However, an interview which Gary Reblin, the USPS VP of New Products and Innovation, gave to Direct Marketing News suggests that the real intended “customers” of this service will be direct mail marketers – junk-mail senders, in other words. For most of its history, the post office made the bulk of its operating costs by sending first-class mail – mainly letters and greeting cards. Before the Internet, letters were the cheapest and most convenient way for people to keep in touch with non-local friends and relatives. Currently, however, the rise of email, free long-distance phone calls, Skype, and other super-cheap and lightning-fast communication technologies has killed most of the market for first-class mail. So whatever first-class business the USPS loses must be replaced by three times the amount of junk mail, simply for the post office to break even. 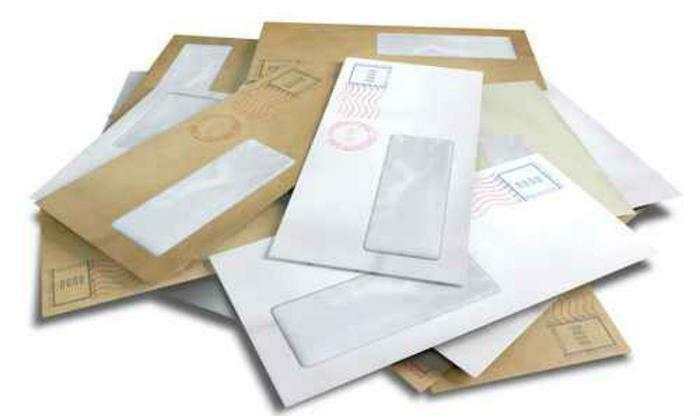 Nowadays, the direct-mail marketers who pay the post office to deliver junk mail are far more important to the USPS's bottom line than the ordinary American citizens who receive it. 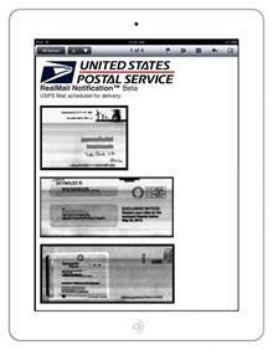 And that's why the USPS's real hope regarding Real Mail Notification is that it will “mak[e] the U.S. Mail a digital conduit for website visits and transactions,” as Direct Marketing News said. In other words, the post office hopes that you won't merely look at emailed previews of the ads your local Pizza Schlub is mailing you today; the hope is that you'll click through and visit Pizza Schlub's website, along with enough of your neighbors to convince Pizza Schlub's marketing department that junk mail is a good use of the company's advertising budget, so they'll keep paying the USPS to deliver it.